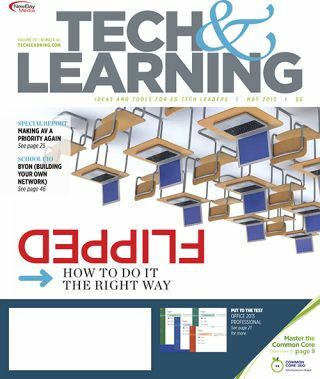 This supplement covers a host of best practice examples on how to integrate AV into high-tech classrooms, as well as a helpful checklist on what to look for in the ideal management solution. How Do You Measure Color Output? According to teachers who have successfully adopted a flipped classroom format, the best part of the process is devoting more time to deeper discussions, small-group projects, and one-onone interventions. Here are the stories of four teachers who’ve flipped over flipping. • Have you tried a MOOC yet? • Everybody is a winner! • Are Your Schools Ready for ELA Standards?